Sunday Stash this week is a blast from the past! I have been hoarding these stunning fabrics in my stash for years waiting for the perfect pattern to make each and every one of these beautiful fabrics sing! Folksy Flannel by Anna Maria Horner for Free Spirit Fabrics is one of those special fabric collections that are hoard worthy! The colors are rich and the flannel is so soft even before washing. Amazing! For the perfect match in Aurifil threads, I chose four solids and two very subtle variegated threads, all 50wt. Here is the circle of colors that are completely delightful! 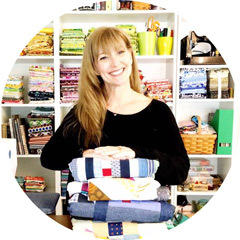 This collection is now out of print ( that happens all too often) but Anna Maria Horner has other fabulous options in new fabric collections on her website! I am linking up to Molli Sparkles Sunday Stash! Go check out what everyone else is sharing! I remember these folksy flannels but I never bought any. The aurafil threads go perfectly with the flannels. Loving the exuberant colours in these! Do you have a plan in place yet, or holding on a bit longer? So does this mean the perfect project idea has been found? 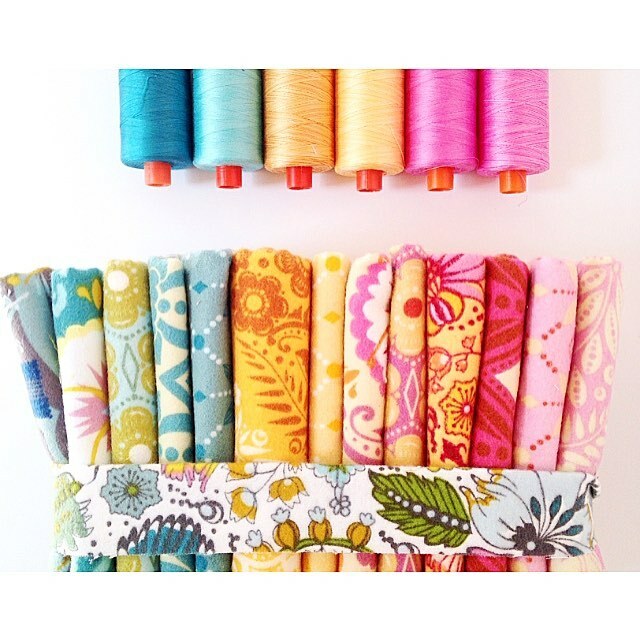 I always love how you have the perfect Aurifil thread paired in your images.